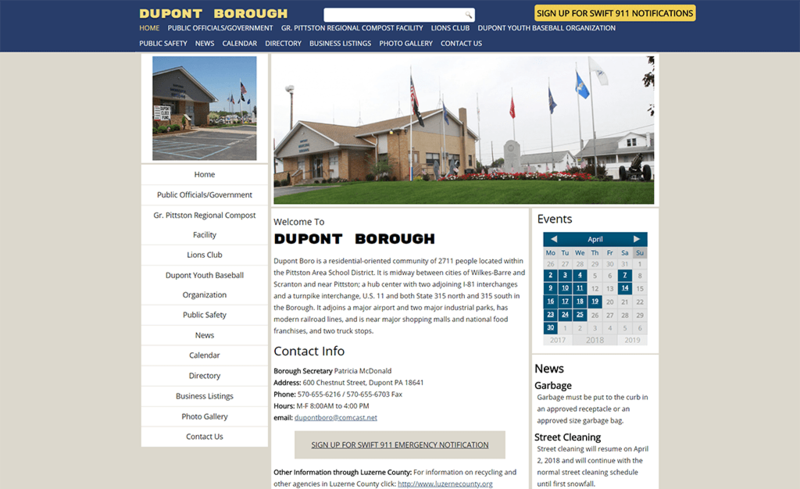 Dupont Borough joins the growing number of municipalities that are taking advantage of The Pennsylvania State Association of Boroughs Web Design Program. CourseVector is pleased to be able to provide web design, hosting, Email, support and other Internet services to municipalities through this highly discounted offering. Visit the official website of Dupont Borough, located just southwest of the Wilkes-Barre / Scranton International Airport in Luzerne County, Pennsylvania.